The U.S. Department of Education unveiled a new education technology developer’s guide Tuesday during the annual ASU+GSV Summit conference here. This report was developed under the guidance of Richard Culatta, Joseph South, Katrina Stevens, and Bernadette Adams of the U.S. Department of Education, Office of Educational Technology. In remarks at the conference, U.S. Secretary of Education Arne Duncan urged developers to consider the needs of disadvantaged students, so that they are not left behind as more schools adopt new tools that advance teaching and learning. “If the technology revolution only happens for families that already have money and education, then it’s not really a revolution,” Duncan said. Duncan announced the developer’s guide during a speech at the ASU+GSV Summit, a gathering of about 2,500 people interested in innovation in education. 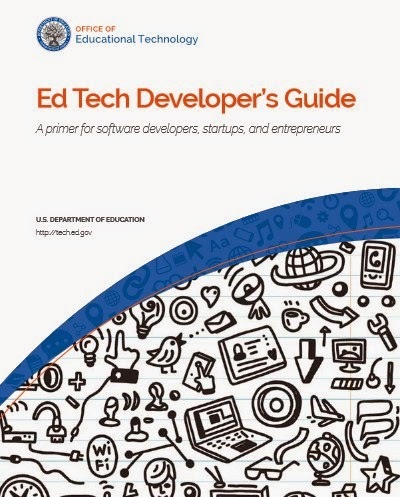 The free guide, available for download at tech.ed.gov/developers, is the result of two years of research by Department of Education officials, who interviewed educators, entrepreneurs, parents and students. Its goal is to help technology developers better understand the key needs of the nation’s school system. It identifies 10 “persistent problems in education,” among them increasing family engagement, improving professional development for teachers, creating tests that accurately measure what students have learned, and closing achievement gaps.